Enjoy the feeling of being weightless! Our indoor and outdoor pool is heated year-round and is excellent for active relaxation at a soothingly warm temperature. In summer, the water is perfect for cooling off after a sporty day. Swimming outdoors in the 30°C water on ice-cold winter days while snowflakes are gently falling from the sky is an incredible feeling. 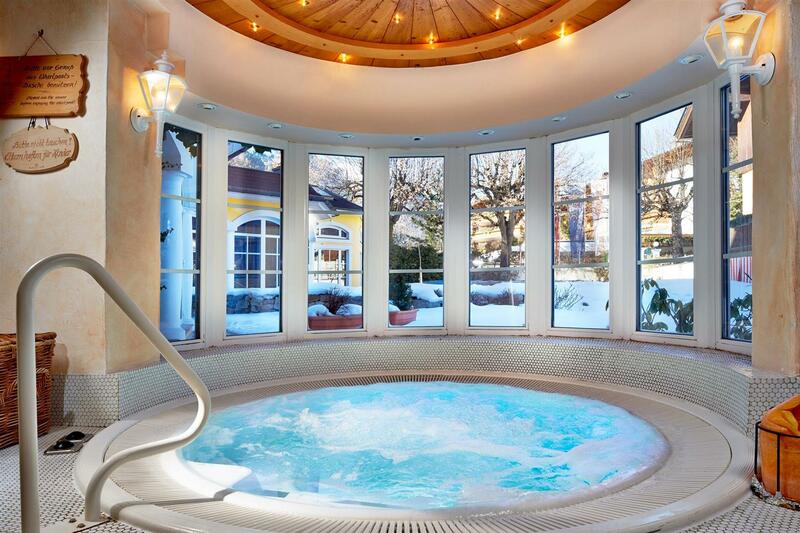 What a way to spend your romantic holiday in Salzburg! In summer our rose garden is a special kind of refuge. After a few relaxed laps in the outdoor pool, you can lean back and rest on the comfortable lounge chairs. 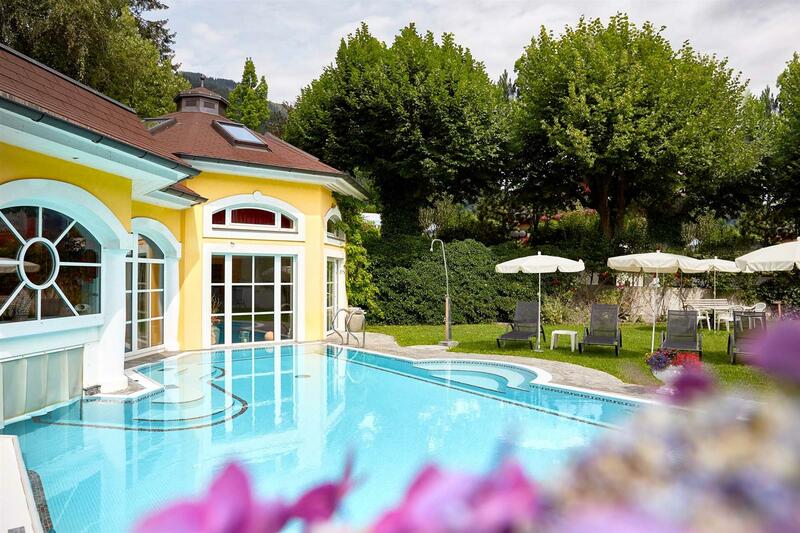 Enjoy the warm rays of sunshine on your skin as you soak up some sun at our romantic hotel in Zell am See. We will be happy to serve freshly baked cakes and aromatic coffee as you take in the incredible views of the surrounding mountains. A must on a walk through our sprawling gardens is a visit to our more than 100-year-old apple tree. The small wood bench under the tree is a perfect place to sit, chat and enjoy your romantic holiday in Salzburg. You'll quickly see why this tree is lovingly called the "smooching tree"! Book now your romantic holidays.